October is a great time of year! Not only is it the month of Halloween, but it’s also the perfect time of year to get together with friends and loved ones. This week, we’re sharing a few board game recommendations that are fun and easy-to-learn. 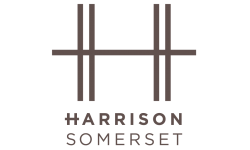 Enjoy playing these games in your apartment at The Harrison in Franklin Township, NJ. Whether you prefer strategy or party board games, there’s something here for everyone! This is a cross-country train adventure where players collect cards and build trains that connect various cities. With locations in Europe, Asia, Germany, America, and more get ready for an unforgettable journey. For 2-5 players, ages 8 and up. Two spymasters deliver coded messages to their team members (“field operatives”) who must then figure out where to go for clandestine meetings. Operatives must be clever. A decoding error could lead to an unpleasant encounter with an enemy agent — or worse, with an assassin! Both teams race to contact all their agents, but in the end, only one team can win. This is a fast-paced game for 2-8 players, ages 10 and up. Take an ingredient marble from the dispenser and watch the others fall. If marbles of the same color collide, they explode and you collect them, too! Complete your potions using the marbles you collect, score points, and drink potions to unleash their magical powers. Remember: you'll need to brew the most valuable potions in order to win. Perfect for Halloween. For 2-4 players, ages 8 and up. This game teaches that it’s all about the journey, and not the destination. Enjoy being a traveler on one of the most magnificent roads in Japan — the “East sea road.” Meet people, taste fine meals, discover beautiful panoramas, collect items, and much more! By the end, the player who experienced the most is the winner. This peaceful and easy-to-learn game is for 2-5 players, ages 8 and up. Each player builds their own metropolis in this city-building game. Points are scored depending on the layout of each player’s city. There are only a certain amount of parks, shops, public services, and other structures available, so players must compete to collect those and build up the finest city around. This is for 2-4 players, ages 8 and up. 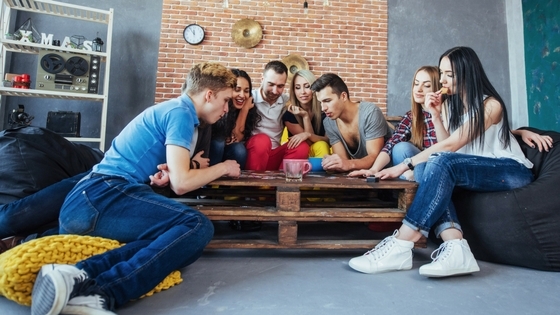 What’s your favorite board game to play in your apartment? Leave a comment below. Thanks for reading!